NO. 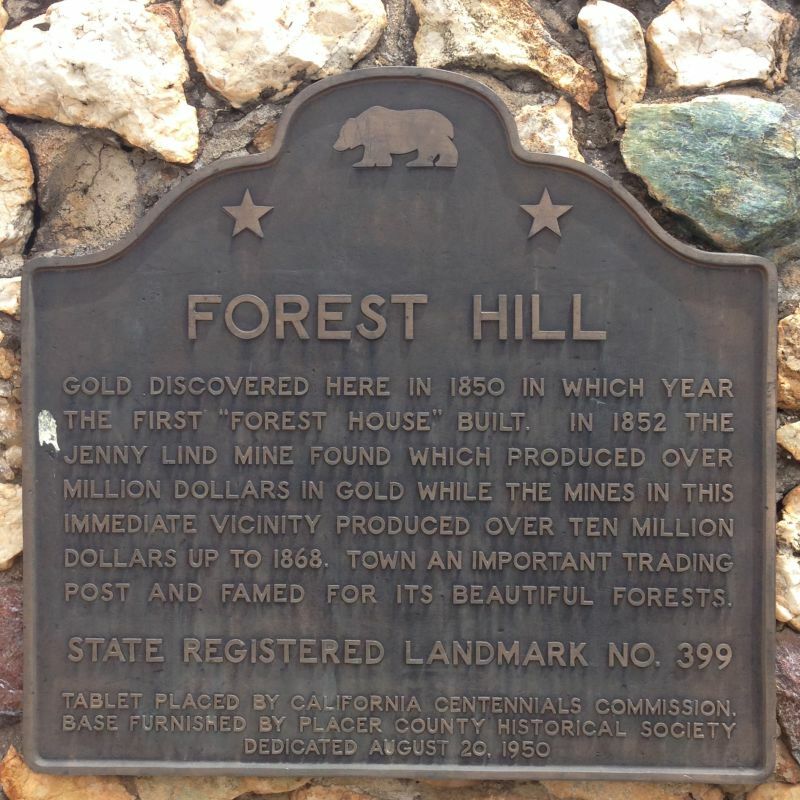 399 TOWN OF FOREST HILL - Gold was discovered here in 1850, the same year the first 'forest house' was built. 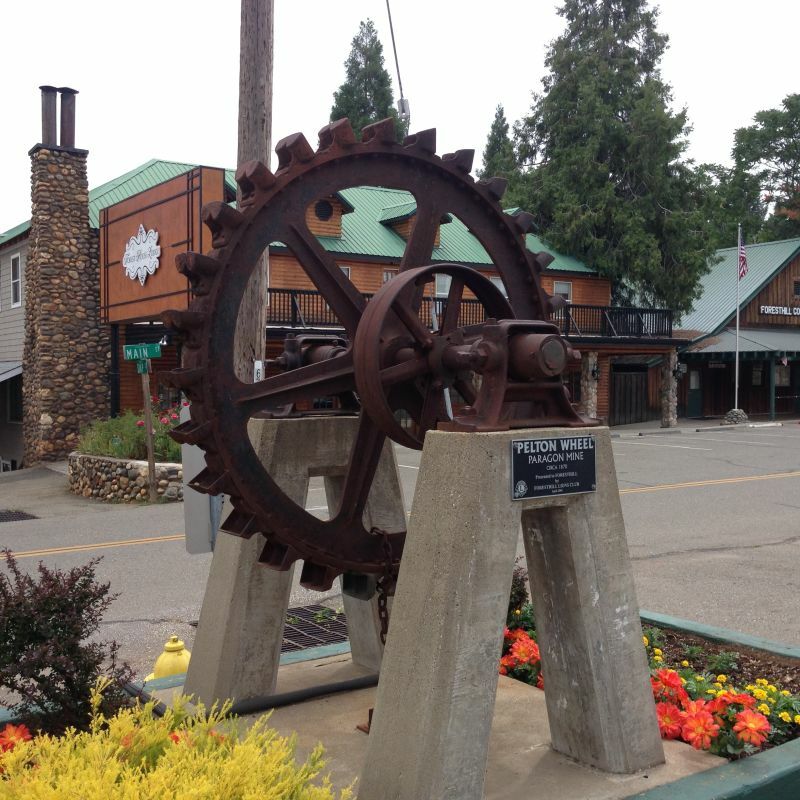 In 1852 the Jenny Lind Mine, which produced over a million dollars in gold, was discovered. 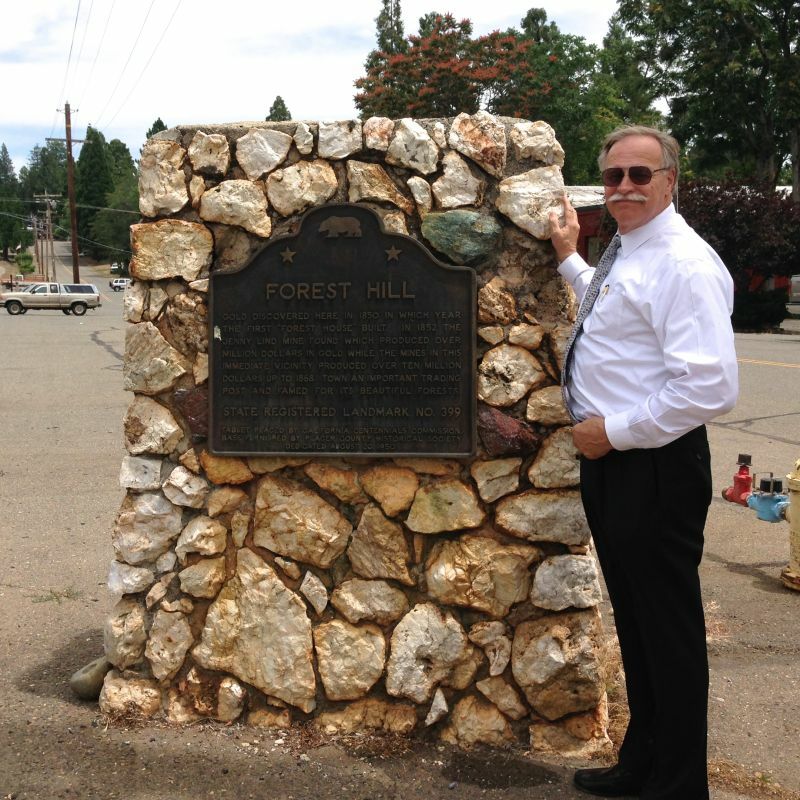 Mines in this immediate vicinity produced over ten million dollars up to 1868. 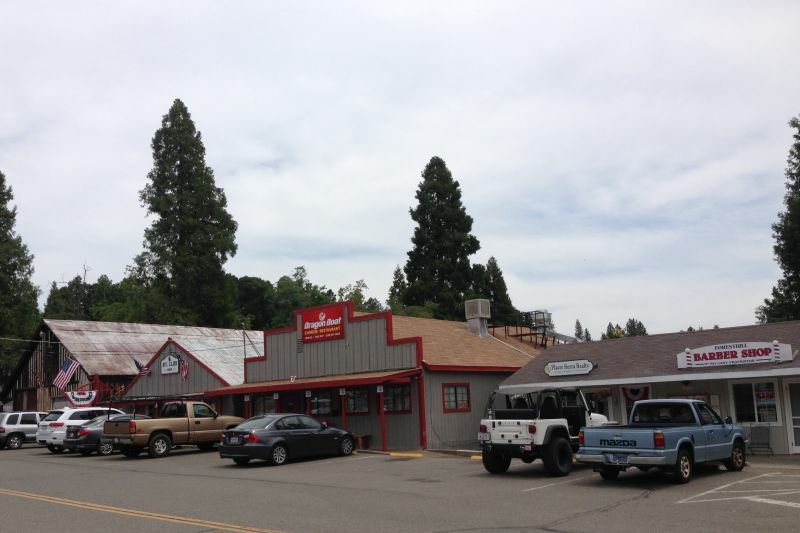 The town was an important trading post and was famed for its beautiful forest.